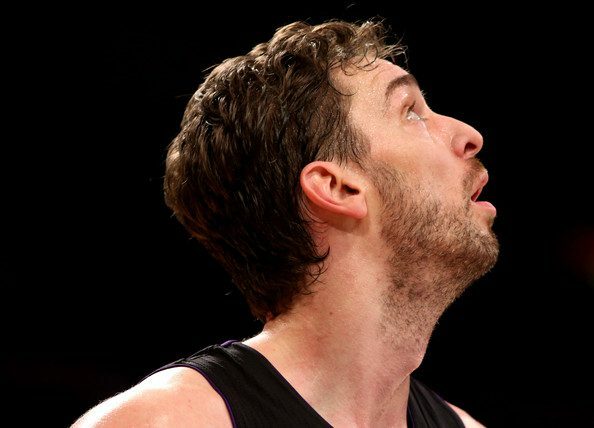 LOS ANGELES (SportingAlert) — Pau Gasol revealed that he’s decided to join the Chicago Bulls. The former Los Angeles Lakers center, who is now a free-agent, has been in contacts with several teams, but said on his personal Twitter account on Saturday that he’s decided to play in Chicago and was looking forward to the “new chapter” of his career. Gasol played seven seasons with the Lakers, but has been growing frustrated with his role in recent years. A tweet from the 34-year-old read: “It hasn’t been easy. After meditating it a lot I’ve chosen to play with the Chicago Bulls. Defending champions San Antonio Spurs and fellow Western Conference giants, Oklahoma City Thunder, are also believed to be interested in the Spanish star. Gasol, who averaged 17.4 points, 9.7 rebounds and 3.4 assists last season with Los Angeles, has a career average of 18.3 points, 9.2 rebounds and 3.3 assists per game. Gasol said on his website at www.paugasol.com: I’m excited about the opportunity to become a part of such a storied franchise and play with a contending team in front of some of the most passionate fans in sports. “Although the future is bright for me in Chicago, deciding not to return to Los Angeles was an extremely difficult decision. In my seven seasons with the Lakers, we made three trips to the NBA Finals and won two NBA Championships.